The prequel to the best-selling graphic novel of all time! Discover what happened before WATCHMEN. 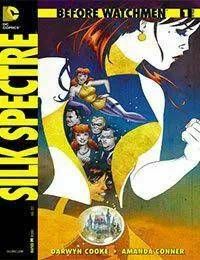 The team of Eisner Award-winner Darwyn Cooke and acclaimed artist Amanda Conner spin the tale of the Silk Spectre Laurie Juspeczyk as she attempts to follow in the footsteps of her mothers legacy.